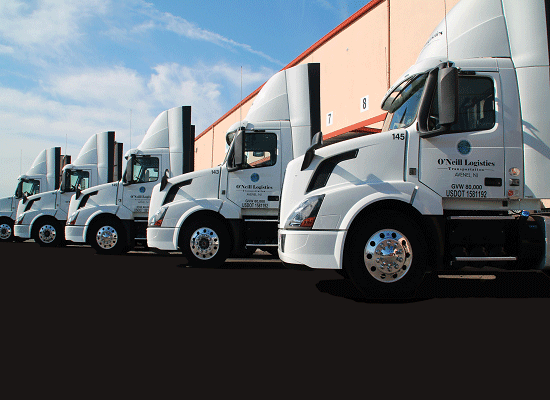 Through our transportation hubs in New Jersey, Southern California and Georgia, O’Neill provides a range of transportation services including pier drayage, yard management services, export cartage, LTL pick-up and deliveries, consolidation services and retail store deliveries. We support the services with over 100 drivers, an extensive chassis fleet in both New Jersey and California to increase turns and a variety of trucking equipment to support the local pick-up and delivery services. We also provide specialized services supporting over-weight and hazardous material haulage. All services are supported with our transportation management system supported by alert and context driven workflow, data interfaces, and visibility through our web portal.